Sold out! AK-47 is a hybrid feminized sativa-dominant Marijuana strain being by far the most popular strain from Serious Seeds. It is very easy to grow and has an unforgettable effect. Highly valued for medicinal use. AK 47 is a hybrid feminized sativa dominant Marijuana strain, created by a quadruple cross between Colombian, Mexican, Afghan and Thai strains. It is by far the most popular strain. It is very easy to grow, rather small and produces a lot. Nonetheless, AK 47 is mosly known for its extreme narcotic effect. AK47, of medium height does not demand much care to produce an impressive amount of top quality weed being a strain highy appreciated in retail environments or for own consumption. Besides that, it has a short flowering period for a sativa: in only 53-63 days in a growing room (or mid-late October if cultivated in the outside) it will be covered with compact and bright flowers due to the resin that bathes them totally giving productions ranging from 350-500g per square meter. 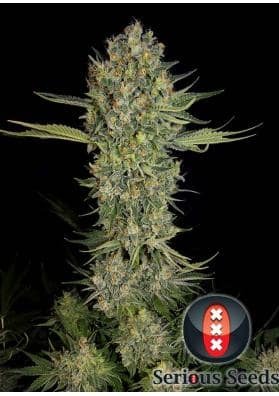 Nonetheless, AK 47 is mostly known by its amazing and super-powerful high that is able to offer you, a narcotic effect due to its 21.5% of THC, a feature that has allowed it to be highly valued for medicinal purposes. 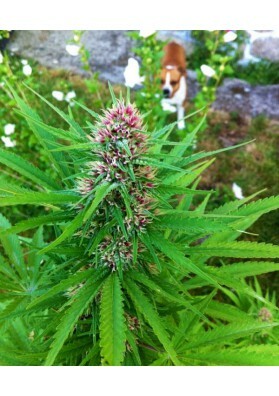 Its extensive list of features has allowed it to become the most awarded varieties of Cannabis of all times. 16 are the total accumulating prices, among which the 2nd prize for the best sativa at the High Times Marijuana Cup, the 1st prize at the Highlife Barcelona and the 1st prize at the 2010 Treating Yourself Expo in Toronto.